ArtPOP is a series of 20 artist-driven pop-up performances and exhibitions in geographically diverse locations across the region. Curated specifically for Arts Month by the Pikes Peak Arts Council, with funding from the Cultural Office of the Pikes Peak Region, the program will showcase a wide variety of local talent. Specialty performances will meet arts patrons and citizens where they are, bringing art to everyday life and showcasing the indelible talent of Pikes Peak artists! Follow this link for a complete list of performances, when available. Arts14 is an initiative of Manitou Springs School District 14 which participates in the vibrant arts community of Manitou Springs. 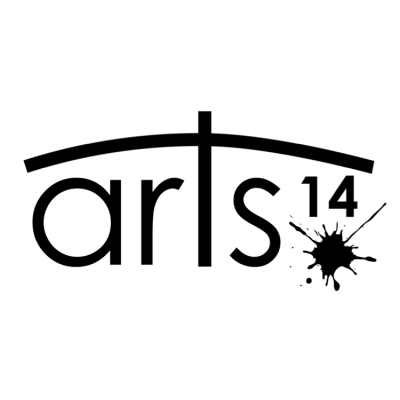 Arts14 is the school district’s after school arts program. It serves children and adults both in district and out. Arts14 is a Program of Connect14 which is part of the initiative but on top of Arts14 includes Sports14 as well as STEM14. The school district values its partnerships with local arts organizations. In the fall of 2014 the district created an arts umbrella which together with the Colorado Springs Children’s Chorale, FAIM, the MSAA, Pikes Peak Studio, Concrete Couch and others, provides quality, well priced, opportunities beyond the school day in theatre, music, choir, visual art, film, dance and design. The Arts14 umbrella is a unique partnership between a school district and professionals in the arts. 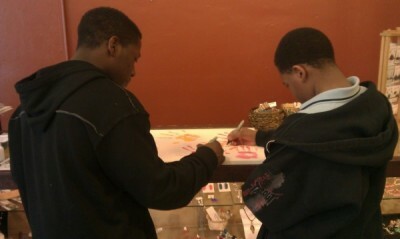 Arts14 makes use of local assets to provide young people and their families with dynamic opportunities in the arts. Classes are available to young people from all school districts. The Black Forest Community Club was chartered in 1929 as a social organization for families living in Black Forest, just north of Colorado Springs. The club, which has well over one hundred member families, occupies a unique, community-built log building that is over 80 years old. The club has been the site of many events over the years including Black Rose Society concerts and many local clubs. The Community Club also sponsors Boy Scout Troop 70 and Cub Scout Pack 70. Capoeira is a unique Brazilian art form. Slaves living on Brazilian plantations who were not allowed to openly practice traditional forms of self-defense developed an ingenious method of disguising their training by combining it with dance-like movements, singing and the rhythms of primitive instruments. The result is a “game” of fluid ground movements, spinning kicks and daring acrobatics set to the energetic clapping and singing of spectators. Capoeira has evolved over centuries into an exciting combination of martial arts, dance, acrobatics and live music. Brazilian Capoeira offers classes in the art for adults, teens, and children beginning at age four. 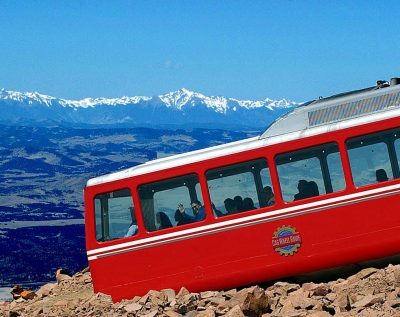 Since 1891, millions of passengers have enjoyed a high altitude adventure on the Pikes Peak Cog Railway, the highest train in the United States and the highest cog train in the world. Departing from the 6,500 feet historic Manitou Springs, the railroad climbs to the 14,115 feet summit of Pikes Peak. Enjoy an educational and comfortable ride through boulder-strewn canyons and forests of pine and aspen before breaking through timberline where vistas of the Great Plains and the Continental Divide unfold. Open year-round, reservations are highly recommended. The Buffalo Lodge Bicycle Resort is a family-owned, vintage hotel with a western theme. The Buff is your base camp for adventure and a great place to relax after a long day in the saddle or exploring the sites of the Pikes Peak region. Located on a popular designated bike route connecting Colorado Springs and Manitou Springs, the Buff is in close proximity to countless miles of biking trails at the base of Pikes Peak, and are less than a mile from Garden of the Gods Park. You don’t need to be a cyclist to stay at the Buff. The Buffalo Lodge is the perfect location to begin any adventure in the Pikes Peak Region and everyone is welcome! There are a plethora of amazing tourist attractions and activities to enjoy during your stay. Torie Giffin, the Buffalo Lodge Bicycle Resort’s visionary and intrepid leader, has always led with her heart and passion for others. Hospitality is at her core. So, when she decided to create a resort for cyclists there was no question she was going to make it great. 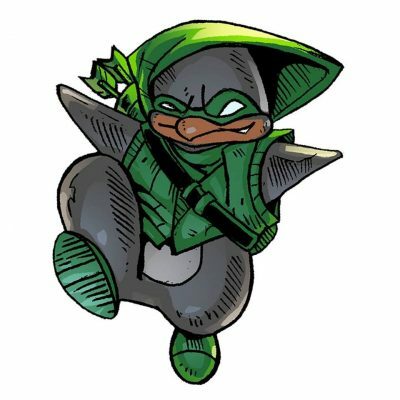 The vision started in 2015. There have been hundreds of conversations with friends and community and cycling advocates over more than a few cups of coffee and Colorado’s famous brews. 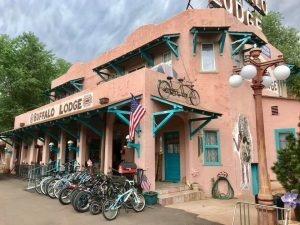 There are some wonderful hotels in Colorado Springs but none that caters specifically to the outdoor adventurer and especially the bicyclist. These dreams, paired with a statewide bicycling campaign, Gov. John Hickenlooper’s declaration that Colorado will become the best state in the U.S.A. for cycling, and a realization of Outdoor Recreation as an economic driver, seemed the perfect storm and an inspiration to be a part of the transformation. After scouring many inviting locales, developed or not, Torie learned the historic Buffalo Lodge was for sale and it seemed to perfectly fit her vision because of location, price, history and so much more. It was love at first sight. Although there were quite a few issues to secure the property and a few setbacks, Torie and her family bought it on June 17, 2016 with the plans for refreshing and transforming the Buffalo Lodge into a haven for cyclists and adventurers, and got straight to work! 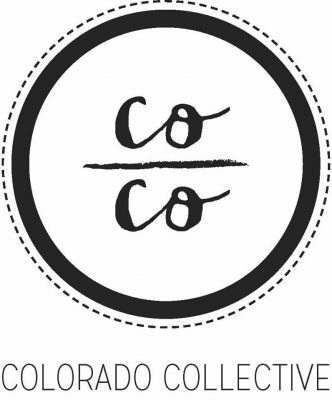 Colorado Collective features, explores, and cultivates the vital community of makers, creators, and enthusiasts in the Colorado Region. COCO is an online and print publication. It is their desire for the community’s experience to be interactive and engaging, whether it’s recipes the publication encourages readers to try, how to guides, suggested adventures, poetry, or features on some of COCO’s favorite makers/creatives. 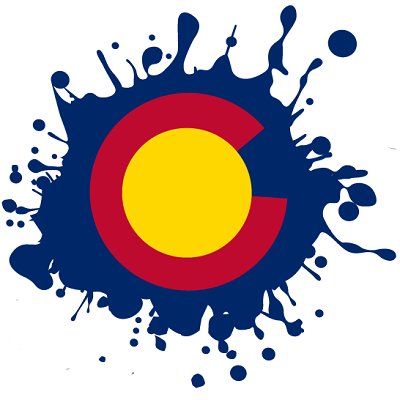 COCO also hosts events or gatherings in a variety of different settings in the Southern Colorado region with the hope of building relationships and creating new connections. The Colorado Farm and Art Market is devoted to nurturing relationships between consumers and local producers of farm products, value-added food items, and fine crafts and art through the operation of cooperative urban markets. The organization also seeks to grow community across urban and rural boundaries and promote and sustain local and regional economies. The market was formed in 2004 by a group of small family farmers in the Arkansas Valley Watershed who employ sustainable farming practices. These farmers wanted to create a venue where they could sell local, sustainably grown product, develop direct relationships with their customers, and over which they could have some control. All other markets in the Springs were (and still are) sole proprietorships. These farmers had a goal of creating a farmers market that promoted local agriculture while building and nurturing relationships between consumers and local producers. The market started on Wednesday evenings at America the Beautiful Park in conjunction with the “Gettin’ Down in Downtown” summer concert series. In 2006, CFAM expanded to the Briargate area, first at the shopping complex near Salsa Bravo, and moving the the Margarita at Pine Creek in 2008. The site at the Margarita at PineCreek remains a festive destination for Saturday shoppers, and Colorado Farm and Art Market will continue to grow that market. In 2011, the Colorado Farm and Art Market moved the Wednesday markets to the Colorado Springs Fine Arts Center. CFAM enjoyed the central downtown location but felt they were not able to establish the destination type feel of the Saturday markets. 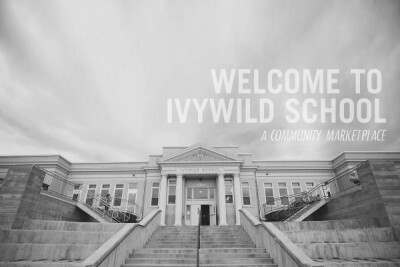 In 2013, CFAM joined up with the Ivywild School on South Cascade Avenue. This destination market had parking troubles, with extremely limited parking available on market days, which made market attendance difficult to those not within walking or biking distance of the market and once again, CFAM was searching for a perfect Wednesday location. Since its inception, Colorado Farm and Art Market has been committed to a downtown location, believing that the downtown area should remain a vibrant economic and social center of the community, and that people who live and work there should be able to shop for fresh, locally grown food within walking and biking distance. In 2016, the Wednesday market was moved to a fantastic downtown location: the grounds of the Colorado Springs Pioneer’s Museum. 2017 saw the addition of a Sunday winter market at the Cottonwood Center for the Arts. CFAM is thrilled to bring the unique market into downtown again! 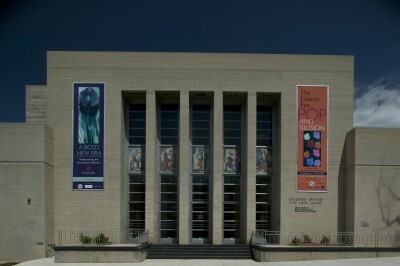 The Colorado Springs Fine Arts Center at Colorado College, built in 1936, grew out of and expanded on the mission of the esteemed Broadmoor Art Academy to become one of the only multi-discipline arts institutions in the nation. Today the FAC remains an amazing rarity — a museum, theatre and art school, essentially an entire arts district, under one roof. And they go well beyond what you would consider the boundaries of those disciplines, offering special performances in galleries, stand-up comedy and concerts in the theaters, epic parties in the Smith Family Gallery, and insider perks for members that take them inside the process of creating the arts. The FAC believe the arts are a critical part of any community. Building upon our history as a cultural pillar, the FAC strives to inspire community vitality through performing arts, visual arts and arts education. 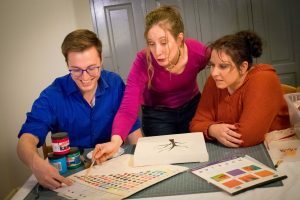 The FAC’s mission is to provide innovative, educational and multidisciplinary, multidimensional arts experiences, building upon their history as a unique cultural pillar of the Rocky Mountain region. The Colorado Street Art Company is a non-profit corporation that bridges the often too-wide gap between artists on one side, and business-owners and government organizations on the other. Colorado Street Art Company’s mission is to promote public art and foster an engaging urban aesthetic in Colorado Springs by fundraising for murals and providing logistical support to local artists and business owners. 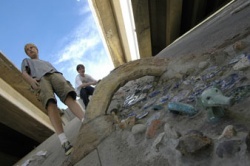 Concrete Couch works with kids and community groups to create public art, to build community, and to create environments and experiences that humanize our world. The organization is always looking for good souls to help with public art, performance, social service, music, gardening, construction and environmental programs. Cottonwood Center for the Arts is a community impact organization located in downtown Colorado Springs. Cottonwood’s mission is to provide art instruction, space for artists to exhibit and sell their work, and an environment for a thriving arts community, open to all. They achieve this through a three-fold approach which encompasses Campus, Access, and Perception (CAP). Campus at Cottonwood includes the building, alley, parking facilities, and neighborhood. The Center consistently initiates and pursues capital improvement projects which include new flooring, windows in artists’ studios, upgrades to heating and air conditioning systems, and beautification projects to make the building as welcoming and safe as possible. Cottonwood has a vested interest in the development and success of the neighborhood and continues to develop programming and projects that will drive people to the neighborhood, ensure economic stability and growth, and support local businesses. Access at Cottonwood means access to art for all in our community. There is no admission cost associated with visiting our facility. Cottonwood wants every person who has an interest to walk through the doors and experience art. Classes are kept as low-cost as possible to encourage growth and development. Partnerships with organizations such as Finding Our Voices, TESSA, and PAGE allow the Center to share the voices of those who may not always be heard, and offer healing and support to those in the community who need it most. Open calls for entries allow local artists the chance to show and sell their work in our juried gallery shows. Studios are designed to create an arts community within Cottonwood that fosters support and development from the inside out. The theater space houses two community theater groups, Star Bar Players and THEATREdART, and each play offers one evening with sign language interpretation. These intimate theater productions round out the arts community with the passion and expression that only comes from the stage. Perception at Cottonwood means changing the perception of art in the community and the way artists are perceived as business professionals. While the main goal is Access to art at every level, Cottonwood strives to show art in the galleries and performances on the stage at the highest level. 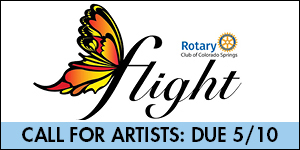 All shows with open calls for entries are juried by professionals in the Colorado Springs art community such as gallery curators, arts administrators and academics, and even working artists. Cottonwood constantly encourages development and progression in art through the jurying process, facilitated open critiques, and through hand picked instructors for both adult’s and children’s classes. When the privately built and operated Deerfield Hills Community Center began to falter in the 1970’s, the City of Colorado Springs acquired the building and began development of the City’s first true community center. 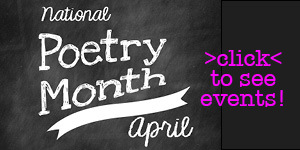 Today, the Center continues its tradition of offering a positive and safe environment for children of all ages. The wide array of program opportunities and community services, along with a dynamic center staff, make this a well utilized neighborhood resource. Colorado Springs Community Centers: Located in areas impacted by marginalized socioeconomic conditions, Colorado Springs Community Centers strives to effectively develop creative solutions to improve the quality of life in the surrounding neighborhoods. Unique partnerships between neighborhood associations, churches, schools, non-profit agencies, private businesses, and military installations allows the Colorado Springs Community Centers to create a unparalleled environment for learning, recreation, and personal growth. Additionally, the Community Centers provide comprehensive and integrated community-based services at a single site for youth, families, the elderly, and those with special needs. All three sites provide productive outlets that focus on these seven program areas: Early childhood, youth, and teens Health and wellness Food insecurity Medical services Public safety Technology Community building As a whole the Colorado Springs Community Centers offer numerous programs and services; however, each community center offers an array of activities or amenities to keep all ages engaged throughout the year. One example is the “free” public water playground located at Deerfield Hills. From June 1 to Labor Day each year, all ages are able to get soaked, splashed and sprayed at this staff supervised spray ground. Together these sites ensure that future generations have the chance to enjoy a place where dreams are nurtured, goals are achieved, and friendships are formed. 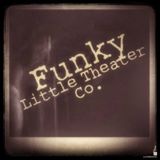 Funky Little Theater Company is a boutique theatre located in the heart of the WestSide of Colorado Springs that is committed to bringing new, compelling theatrical endeavors to the ever-blossoming arts scene. While focusing on theatre, Funky also opens its arms to music, dance, art, poetry, improv, film and performance art. The company is dedicated to bringing professional theater to the Pikes Peak region. Funky explores the plethora of new and interesting works out there by rising, groundbreaking playwrights, while paying respects to our theatrical roots. African American drama, Deaf Culture, and LGBTQ theatre is a major contributing factor when programming their upcoming seasons. GalaxyFest is the preeminent three day, 24 hour multi-genre pop culture conference (con) across the region. Its mission is to provide support in the form of grants and scholarships to local non-profit organizations in the areas of science, technology, arts, engineering, math, and literacy. This is accomplished by reaching across the silos of business, arts and entertainment. Celebrity actors, authors, artists, producers, animators, graphic artists and more come from across the country to educate, entertain, and inform numerous families visitors each year. 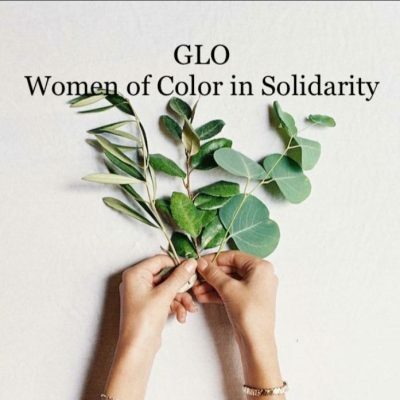 Glo is a meet-up group for Womxn and female-identifying folx of Color in Southern Colorado. Glo creates a safe space for conversation, community and learning. Meet-ups include art workshops, movie nights, politcal action, cooking classes and more! Events are always free of charge and exclusive to folx of color in order to maintain a safe space for conversation. The Green Box Arts Festival was officially launched in 2009 to provide artists and visitors with an opportunity to nurture the creative process and explore new artistic directions in the natural beauty of Green Mountain Falls, Colorado. The foundation for the festival was laid in 2006 with the sponsorship by Christian Kirkpatrick Keesee of a dance residency program by New York’s Keigwin + Company under the leadership of company founder Larry Keigwin. Keigwin + Company has returned to Green Mountain Falls every year since. Their summer residency provides a unique opportunity to create work that is performed around the country in their regular performing season. As the residency program progressed from year to year, an interest in diversifying and expanding activities quickly grew in the community. This interest culminated in the formation of the Green Box Arts Festival. The festival seeks to celebrate the best of today’s innovative creators. Partnerships with the Pikes Peak Library District, Town of Green Mountain Falls and Church in the Wildwood make the full range of activities possible. The Kirkpatrick family history with the Pikes Peak area dates back to the 1900s. Members of the family have been in continuous residence there since that time. Throughout, they have been active supporters of the community and the development of its cultural environment. Since 1997, Heather has been a local artist and entrepreneur, working in multiple medias and disciplines. After studying fine art and costume design in college, Heather’s commissioned murals and paintings have been featured in a number of local residences, and she has worked with many of the local theatre companies, including Opera Theatre of the Rockies, and as Head Costume Designer for the Colorado Springs Fine Arts Center for four seasons. 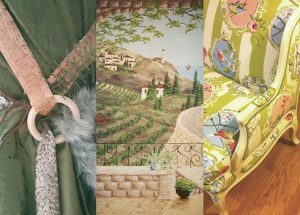 Along with paintings, and costumes for individuals as well as stage, Heather now brings that combined knowledge of art, color, and textiles to designing interior spaces, partnering with other local interior designers, as well as individuals, to create environments full of color and unique detail. Heather Clark Designs is the space for all costume, interior design, and mural needs. The Heller Center for Arts and Humanities provides a wide variety of art and humanities programs for all ages. Focused around an annual theme, the center offers classes and workshops in visual and performing arts, literature, cultural events, music and environmental studies. The collected works of Colorado Springs artist Lawrence Heller are also open to view. Hillside Community Center is one of the City’s newer structures. This fabulous local resource opened its doors in April 1990, and it just keeps getting better! The center is a Mecca for an extremely diverse neighborhood, and just East of the downtown core, has won numerous awards for community-building and redevelopment efforts. Truly a mosaic in motion, this Community Center features a full size basketball court, two volley courts, weight equipment and work out machines, men’s and women’s locker rooms and showers, classrooms and meeting or activity rooms. Hillside is frequently utilized by various educational programs; political events; cultural activities and more. Colorado Springs Community Centers: Located in areas impacted by marginalized socioeconomic conditions, Colorado Springs Community Centers strives to effectively develop creative solutions to improve the quality of life in the surrounding neighborhoods. Unique partnerships between neighborhood associations, churches, schools, non-profit agencies, private businesses, and military installations allows the Colorado Springs Community Centers to create a unparalleled environment for learning, recreation, and personal growth. Additionally, the Community Centers provide comprehensive and integrated community-based services at a single site for youth, families, the elderly, and those with special needs. All three sites provide productive outlets that focus on these seven program areas: Early childhood, youth, and teens Health and wellness Food insecurity Medical services Public safety Technology Community building As a whole the Colorado Springs Community Centers offer numerous programs and services; however, each community center offers an array of activities or amenities to keep all ages engaged throughout the year. One example is the “free” public water playground located at Deerfield Hills. From June to August, all ages are able to get soaked, splashed and sprayed at this staff supervised spray ground. Together these sites ensure that future generations have the chance to enjoy a place where dreams are nurtured, goals are achieved, and friendships are formed. Hues By Huston uses both art and leadership combined to provide a unique learning experience for employers and organizations to provide as team building experiences. Hues By Huston also teaches customized art classes. 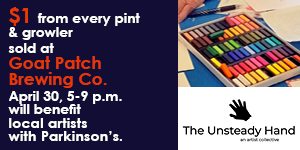 Topics include, but are not limited to, printmaking, screen-printing, drawing, color theory and color mixing. Additionally, works of art are available for purchase. Imagination Celebration (IC) connects people to the brain-stimulating, community-building, life-enhancing power of creativity by inspiring artistic and intellectual curiosity; instigating community collaborations and promoting life-long experiential learning that helps us thrive in a changing world. Imagination Celebration produces, presents and promotes creativity by partnering with outstanding organizations and artists to engage young people and adults in music, theater, dance, poetry, painting, sculpture and folk art. These experiences are provided in schools, community centers, parks and performance venues throughout the Pikes Peak region. Family theater performances run October through May at the Pikes Peak Center for the Performing Arts. Weekly programs are held at the Imagination Space at The Citadel Mall. Ivywild School is a place where neighbors, friends, colleagues and visitors can meet and mingle. A place where you can enjoy great local fare and share ideas. But it’s also much more than that. It’s a flourishing communal atmosphere linking commerce and community with gathering spaces, local cuisine, education, art and gardens. 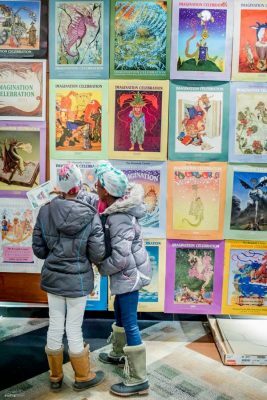 Formerly an elementary school, Ivywild’s façade still holds true to its roots as reimagined spaces fill the halls once again with the voices of children and adults alike. A virtual and literal hotspot of activity throughout the day, Ivywild is always full of energy. Whether it’s a barista serving a pour over coffee in the morning, friends meeting for coffee or craft-brewed beer over lunch, gardeners harvesting the fruits of the season, or people gathering for a small concert or film in the former gym, the school provides an inviting space for kids of all ages. Wide hallways afford plenty of space for relaxing or viewing the ever-changing art offerings. And multiple patios provide al fresco seating in the building’s beautiful Rocky Mountain setting. So whether you just want to pick up your morning joe and a freshly baked pastry, linger for lunch and an afternoon cocktail, or grab a local craft beer or whiskey and some seasonal fare for dinner, Ivywild School is a hub for meeting, eating, drinking and neighboring. 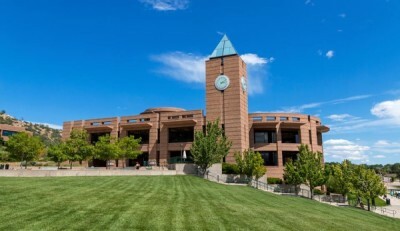 The Kraemer Family Library at the University of Colorado at Colorado Springs is a center of learning, connecting people and their diverse information needs to the resources, services and technology that advance intellectual investigation. They strive to help students find success during their studies at UCCS. The Manitou Art Center is dedicated to creating an environment in which artists, tinkerers, collaborators and you can flourish in our community. Music, theatre, pottery, printmaking, and other loud, slightly dangerous and intensely messy events happen at the Manitou Art Center daily. Locals and tourists alike flock to the galleries, studios, exhibition space, classrooms and delicious café. The spacious facilities can also accommodate events, conferences and offices. Experiences are unlimited – how will you enjoy the MAC? 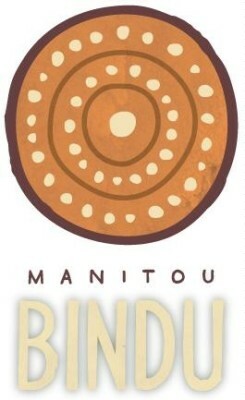 Manitou Bindu is a privately owned movement, healing, and meditation space that acquired the programming from the dissolution of Marmalade at Smokebrush. Manitou Bindu expands the theme of healing arts. From little acorns grow mighty oaks. When a summer youth recreation program began to outgrow its headquarters in a arranged in the southwest Stratton Meadows neighborhood in the early 1980s, space was made available in a nearby shopping center. Thus was born the Meadows Park Community Center. Residents’ growing concerns about gangs and uninvolved teenagers in the area led to further expansion of the center. Meadows Park acquired all of the shopping center space and opened a completely renovated community center in 1987. In 1992, the Meadows Park Community Center accepted another community challenge by implementing a large-scale teen program. In this same spirit, space was leased in a shopping center within the nearby Stratmoor Hills neighborhood and, in May 2011 a satellite facility was opened.Introductory services include a weekly food pantry and adult field trips. Meadows Park Community Center has become a strong focal point for the neighborhood, dedicating itself to serving the community in a safe and healthy environment while providing free and affordable programs and resources for everyone. Here, dreams are nurtured, goals are set and achieved, and friendships formed all the while engendering a growing sense of community pride and accomplishment. Like its community center counterparts, Meadows Park offers an array of programs and activities for preschoolers through senior citizens, delivering many of them through uniquely successful partnerships with other community agencies. Colorado Springs Community Centers: Located in areas impacted by marginalized socioeconomic conditions, Colorado Springs Community Centers strives to effectively develop creative solutions to improve the quality of life in the surrounding neighborhoods. Unique partnerships between neighborhood associations, churches, schools, non-profit agencies, private businesses, and military installations allows the Colorado Springs Community Centers to create a unparalleled environment for learning, recreation, and personal growth. Additionally, the Community Centers provide comprehensive and integrated community-based services at a single site for youth, families, the elderly, and those with special needs. All three sites provide productive outlets that focus on these seven program areas: Early childhood, youth, and teens Health and wellness Food insecurity Medical services Public safety Technology Community building As a whole the Colorado Springs Community Centers offer numerous programs and services; however, each community center offers an array of activities or amenities to keep all ages engaged throughout the year. One example is the “free” public water playground located at Deerfield Hills. From June to August, all ages are able to get soaked, splashed and sprayed at this staff supervised spray ground. Together these sites ensure that future generations have the chance to enjoy a place where dreams are nurtured, goals are achieved, and friendships are formed. 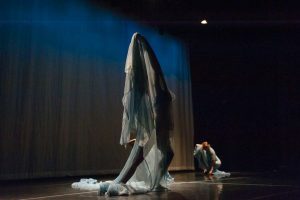 Merikai Studio is a collaborative art endeavor under the artistic direction of Kailani Dobson that aims to give relevance to dance as an art form as well as to promote a space in which the local art community can come together, and create new innovative works. This organization has since moved out of our service area and is located up near Denver. For additional info visit: https://www.facebook.com/The-Mural-Project-of-Colorado-formerly-Colorado-Springs-128077917387091/ Mural Project of Colorado Springs is a nonprofit corporation that provides unique experiences and positively impacts at-risk and underprivileged members of the community through using collaborative art murals to teach, inspire, heal, and add beauty to the Pikes Peak Region as a whole. 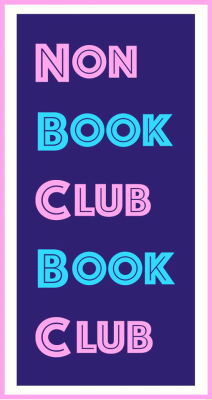 The Non Book Club Book Club (NBCBC) is a group of Colorado Springs based artists, musicians, poets, filmmakers, chefs, nerds, weirdos, etc. 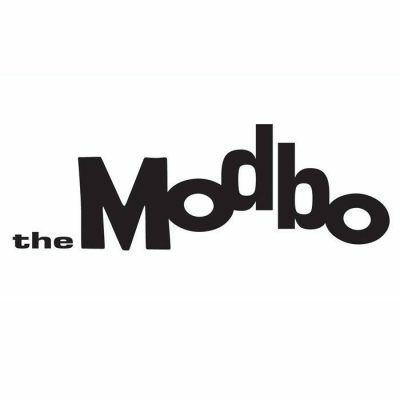 whose goal is to meet monthly to share and communicate ideas through swapping books, articles, web links, playlists, and experiences. This group was created in order to break down the traditional ideas of learning found in school systems while also bridging art cliques in Colorado Springs. The group feels the most important information out there is what individuals curate into their own lives. The goal is to create and aid in the construction of safe places for open discussion and free expression. Peak Alliance for a Sustainable Future promotes the economic, social and environmental vitality of the region by supporting the roadmap to sustainability “Looking to Our Future: Pikes Peak Region 2030.” We conduct a Sustainability in Progress (SIP) event monthly and promote regional events that make participants aware of sustainability concepts, the PPR2030, and projects and activities in support of the plan’s vision. 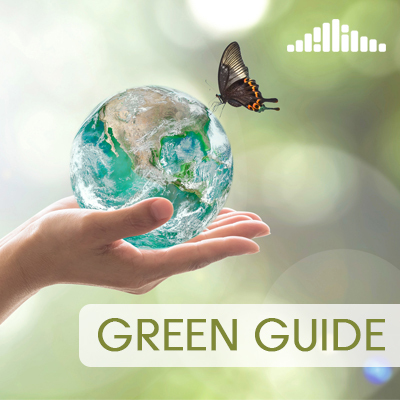 The PPR2030 plan was created in 2012 through a consensus-based, community process and contains ten stretch goals and strategies to help guide the Pikes Peak region towards a more sustainable present and future. 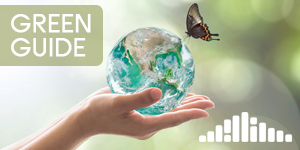 We advance the PPR2030 by building community awareness; providing outreach and educational opportunities; coordinating and collaborating with partners; aligning with existing initiatives similar in scope; and expanding the network of partners seeking to achieve the goals of the plan.